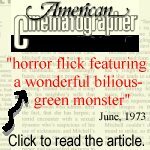 ZAAT the Classic Movie - After 40 Years, the Monster's Back! Visit the all new ZAAT store!! T-shirts, posters, and more! Everyone associated with the creation of ZAAT and the ZAAT Monster categorically deny the rumor that the INPIT team had anything, whatsoever, to do with the creation of the X-Files. Furthermore, and in spite of any resemblance that this embryo may have with the ZAAT Monster, they deny that the ZAAT Monster even knew this baby's mother or in any way had anything to do with the creation of this embryo. Yes, now, for the first time anywhere you can have your very own, Limited Collector's Edition video of ZAAT. It's autographed and numbered, with never before seen out takes and interviews. Don?t miss your chance to own your very own copy. Click Here to inquire about purchasing a copy. Ed Tucker may hold the title of ZAAT?s biggest fan. He has been fascinated with the film ever since the age of six. He sat in a dark theater and watched as the monster climbed out of the transformation tank and into his life. In this excerpt from the April, 2001 edition of Scary Monsters magazine, Ed tells of how he first met the monster. 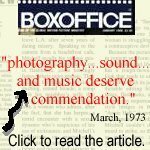 Ed: I suppose being born in Ocala, Florida in the 1960's in some way predestined me to my love and appreciation of motion pictures. The small town of Silver Springs is located so close to Ocala that, today, it is almost considered a suburb of it, but in the 1950's and 60's, it was a booming conglomeration of widely varied tourist attractions. Chief among these was Silver Springs itself, with its glass bottom boats, jungle cruises, and wildlife exhibitions. Hollywood often utilized the spring's clear waters and jungle-like settings for every manner of production. From installments in the Tarzan film series to episodes of Sea Hunt and I Spy. But in my mind it will always be remembered for the underwater footage filmed for the 1957 3-D horror icon, Creature from the Black Lagoon. Even as a young child, I was fascinated by that fact that one of my favorite monster movies had been filmed there. Add to that the regular airings of the Black Lagoon and it's sequels on my Saturday afternoon staple, Creature Feature, only further fueled my interest. It was this love of monster movies that led me to beg my parents to take me to a matinee at, fittingly enough, the Springs Theater one Saturday afternoon in 1973. I remember that I had seen an ad for a film called ZAAT in the paper and had questioned my father about the plausibility of the giant walking catfish monster it depicted. He had explained to me that there was such a thing as a walking catfish that could survive for brief periods on land, but the likelihood of it attacking humans was slim. 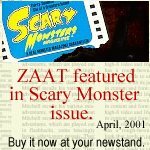 After 40 years, the ZAAT Monster is back! For the first time, this classic B-grade monster movie is now being released on video. 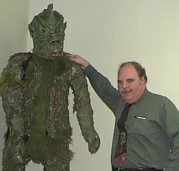 ZAAT the Movie website offers you an insider's look at how the movie was made as told by those who were there.